The recent international shipping scandal involving the Chong Chon Gang, a decrepit, Democratic People’s Republic of Korea-flagged (DPRK) cargo ship with a dodgy track record has raised many important questions involving contemporary issues on the international laws of international security, maritime law, human rights, and labor rights. This high-profile incident occurred not long after the U.N. Commission on North Korea began its operations. The Chong Chon Gang has previously been suspected of drug trafficking, trade in black market arms and luxury goods in violation of sanctions, and fetching hard currency for the regime in Pyongyang. Flying a DPRK flag is enough to raise the suspicions of coastal and port authorities anywhere in the world though most illicit deals are believed to go down in a less conspicuous manner. The DPRK fleet is regarded as the most substandard and unsafe in the world. In many instances, the vessels are not seaworthy, and the reputation is that they are sailed until they sink. Sailing an unseaworthy, DPRK-flagged ship to the U.S.’s untrusted neighbor Cuba through the Caribbean and Panama Canal area (known for the highest amount of interdictions on the high seas) “smacks of desperation and stupidity” according to Hugh Griffiths, head of the Countering Illicit Trafficking-Mechanism Assessment Projects at the Stockholm International Peace Research Institute. 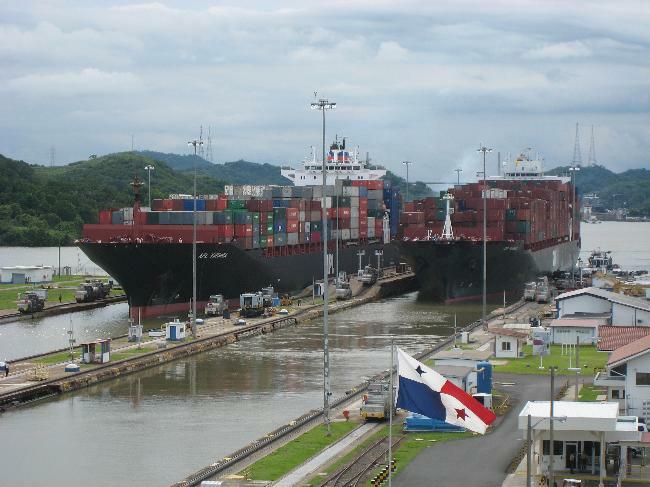 On this occasion, U.S. and Panamanian authorities were already watchful of the ship as it approached the Panama Canal after leaving the Russian coast and suspected the ship of international drug trafficking. After leaving the canal, the Chong Chon Gang turned off its satellite tracking system en route to Havana only to turn it back on when approaching the canal again. The ship was then stopped at the Panama Canal, and the scene that unfolded when Panamanian authorities boarded the ship was quite dramatic. A hostile crew that burned the ship’s electrical system resisted the search, which uncovered various weapons of war (including two MiG-21 fighter jets) hidden under tons of bagged sugar. The captain suffered a heart attack during the events, and Panamanian authorities subsequently thwarted his attempt to cut his own throat. The conditions on board the ship were unfit as working or living spaces, being in dangerous disrepair and unhygienic to the point of posing health risks. The wet, humid Panamanian weather has saturated the sugar, creating a beacon for swarms of bees. The action giving rise to the charge of endangering public security was not the actual transportation of arms through the Panama Canal, but concerted resistance of the ship’s search by its thirty-five-member crew. The charges of endangering public security are brought under Panamanian law, and other charges or actions involving international law may be brought later. UN Security Council experts are scheduled to arrive August 5 to determine whether the cargo, its transfer between Cuba, and its transportation violates sanctions established by the U.N. Security Council. Efforts to contain the potential effects of the increase in aggressive, militaristic DPRK statements and activities under Kim Jong Un have increased in step. The injection of his unpredictable statesmanship into the tense Korean context helped prompt the most recent in a series of U.N. sanctions issued by the Security Council is Resolution 2087 (2013), which “calls upon Member States to exercise enhanced vigilance” regarding DPRK financial institutions and their activities. Japan’s March decision and China’s May decision to impose unilateral sanctions by closing the account of the DPRK’s Foreign Trade Bank are not unremarkable moves aimed at addressing the DPRK situation. Though this should amount to an intense blow to DPRK’s international trade, a cursory glance at the activity of the DPRK’s 185-ship cargo fleet (at the time of posting) shows recent activity in many Chinese ports, as well as some of the ports connected to the prior suspected illicit activity of the Chong Chon Gang, such as the Russian naval base in Tartus, Syria. Cuba’s protestations in the matter have done little to absolve its culpability under Security Council measures. They rather seem to confirm it. “8. (a) All Member States shall prevent the direct or indirect supply, sale or transfer to the DPRK, through their territories or by their nationals, or using their flag vessels or aircraft, and whether or not originating in their territories, of: . . . (i) Any . . . combat aircraft, . . . missiles or missile systems, . . . or . . . (ii) [a]ll items, materials, equipment, goods and technology . . . which could contribute to DPRK’s nuclear-related, ballistic missile-related or other weapons of mass destruction- related programmes . . . Resolution 1874 expanded the ban “to all arms and related materiel, as well as to financial transactions, technical training, advice, services or assistance related to the provision, manufacture, maintenance or use of such arms, except for small arms and light weapons.” Security Council experts will also have the expanded command of Resolution 2087, which greatly emphasizes the continued prohibitions in light of their continued evasion. The action of Panamanian authorities was well within the wide scope of port state customs, border protection, immigration, and national security enforcement powers, but a new set of enforcement tools under international law to address these situations enters into force August 20, 2013. The International Labour Organization’s Maritime Labour Convention, 2006 (MLC, 2006) provides robust enforcement duties and powers on port state inspections, requiring that ships flying the flags of states who do not ratify the MLC, 2006 are given “no more favourable treatment.” This means that port state inspections will hold all ships to the standards of the MLC, 2006 regardless of whether or not their flag state has ratified the convention. At the same time, North Korean seafarers, including captains, will all be considered seafarers under the convention, protected by and able to raise the rights under the convention in the jurisdiction of MLC, 2006 Member States provided they are aware of them. The DPRK is not even a Member State of the International Labour Organization, which should not matter under the MLC, 2006 but may raise interesting questions of international law. DPRK ships are currently not able to trade in many major port States due to various prohibitions or choose not to due to the burdens imposed. The EU imposes various inspection obligations on its Member States regarding DPRK-flagged vessels for example, and all cargo suspected of containing any item from the comprehensive lists of prohibited goods coming, directly or indirectly, to or from the DPRK or any DPRK national must be inspected. An enforcement mechanism with teeth is one of the most remarkable achievements of the MLC, 2006. Though substandard shipping will persist in some pockets, the horizon is not as bleak as some commentators put it. Singapore, Russian Federation, Panama, Morocco, Cyprus have all ratified the MLC, 2006, and are all recent port states visited by DPRK ships. Whether any special vigilance or hesitation in conducting MLC, 2006 inspection aboard DPRK ships will be given, the previously mentioned international obligations of MLC, 2006 Member States and the reputation of DPRK shipping standards point to significant barriers to DPRK trade and the potential for rectifying substandard working and living conditions. Marc C. Gorrie holds a BA from Sarah Lawrence College, a JD from Indiana University Maurer School of Law – Bloomington, and an LLM in international human rights law with a specialization in international labor rights law from Lund University (Sweden). He is a port welfare worker and ship visitor for the Seamen's Church Institute in Ports Newark and Elizabeth, NJ, where he also collaborates on an educational program on the Maritime Labour Convention directed at port chaplains and welfare workers. He recently contributed to an EU project on legal education and law school curricula in the Gambia, and has held a research fellowship in legal ethics, lectured on federal Indian law and American legal ethics, and worked as a disability advocate.